I usually don’t get gooned out by stuff I’ve seen in movies. But in real life, stand back — barf-o-rama. 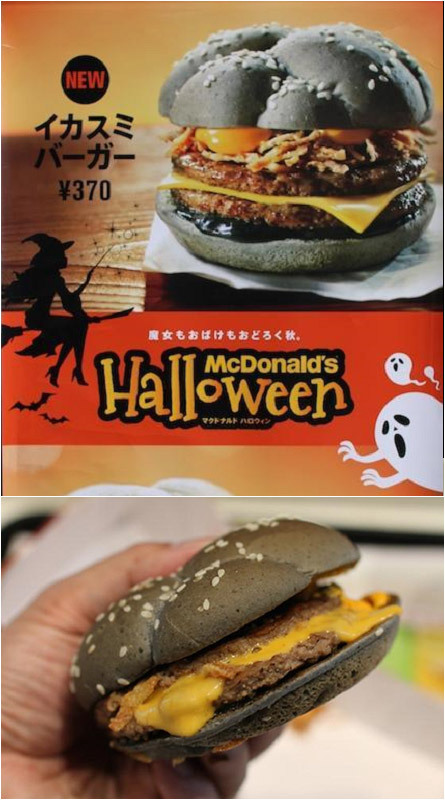 In this case, the spew-inducing instigator is the new black Halloween hamburgers from McDonald’s™ and Burger King™ in Japan. The Mickey D’s hockey pucks have squid ink dyed hamburger buns. Whereas the Burger King buns sport not only a charcoal-esque pallor but black cheese as well. I just felt my throat contract. 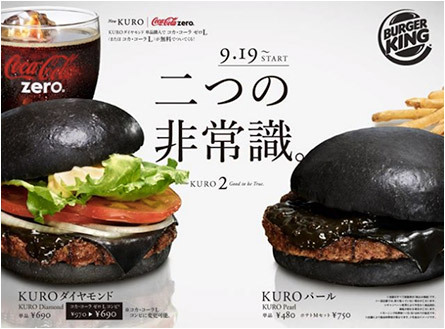 Japan’s squid ink burger will set you back 370 yen, which translates to $3.40 U.S. bit coins/paper route money. This does not include tar milkshakes or burnt shoestring fries. 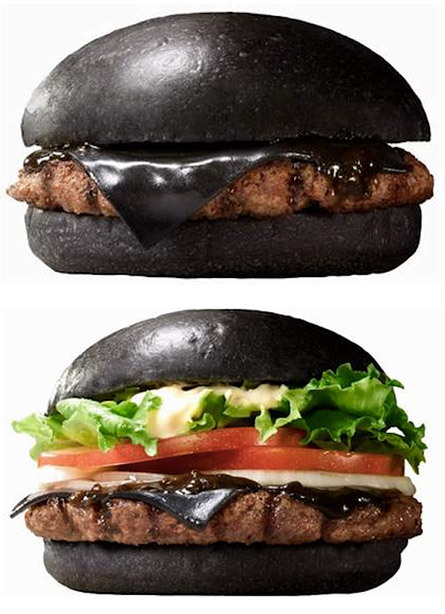 The Burger King™ Black Ninja Burger actually has two spin-offs (or “sequels”): the Kuro Diamond and Kuro Pearl, which feature not just black buns, but slices of cheese and a tangy sauce that look dark enough to come from an H.P. Lovecraft novel. Reminiscent of John Carpenter’s Prince of Darkness (1987), wherein a college theoretic physics team and professor with one squint-y eye investigates a sentient, swirly green liquid in a large glass mayonnaise jar in the basement of an old Catholic church. It turns out to be wet Satan, but those with a degree at first deduce it to be a septic tank for the church’s unholy leavings. Close. 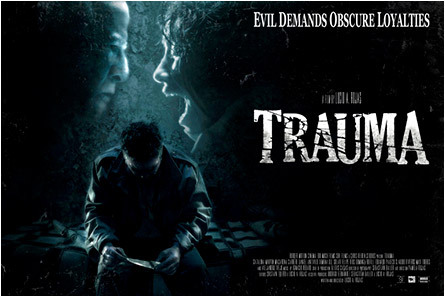 Try not to confuse this Trauma with about, oh, a dozen other movies with the same title, dating back to the ancient days of 1993. So you can watch this and have a bowl of Chile. Or not watch it and have a bowl of chili. Without beans. This may have come out in the year 2016 on some sort of physical media, but these are things I know not of which I speak. That spoken, the be attacked by an infected, rabid farmer is not new. With all the chicken/cow/pig/horse dropping farmers get on their hands and then rub their eyes (probably due to hay fever), it’s a wonder we’re all not infected from the farm food those guys handle without using convenient moist towelettes and anti-bacterial soap from a push button dispenser. Still, a zombie farmer — that’s kinda neat. This one’s been banging around the film festival circuit since 2015. 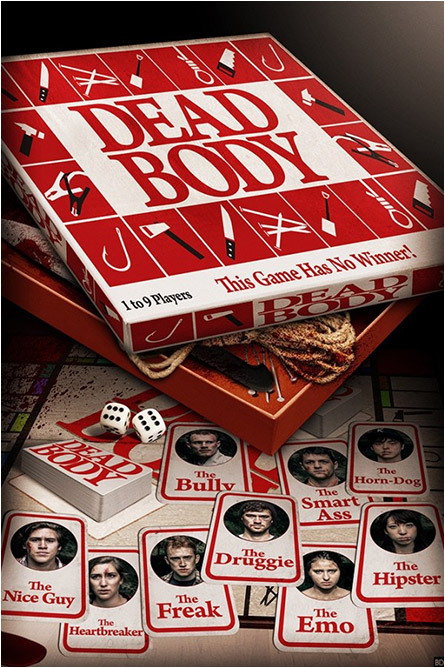 Still, sounds like the classic board game Clue (called Cluedo in the UK), which first came out in 1949. I don’t think that one had a real-life killer in it, though. Those guys cheat all the time. 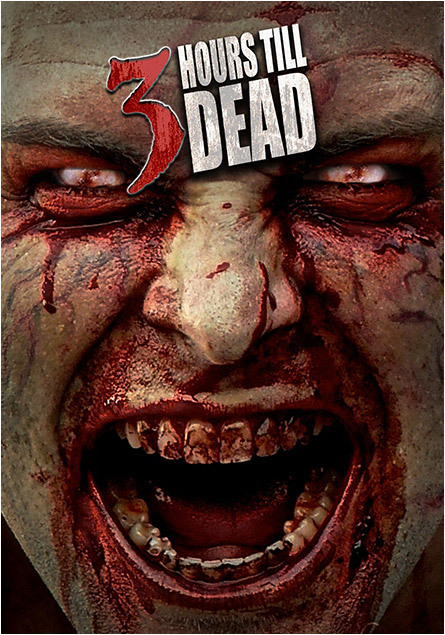 This entry was posted on October 18, 2017 at 8:59 pm and is filed under Evil, Nature Gone Wild, Science Fiction, Slashers, Zombies with tags 3 Hours Till Dead, Agatha Christie, anti-bacterial soap, bit coins, Black Ninja Burger, Burger King, Catholic, Chile, Clue, Cluedo, Dark Spirit, Dead Body, Evil, H.P. 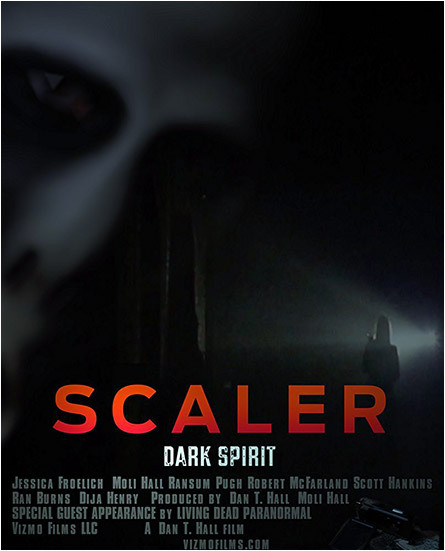 Lovecraft, Halloween, Japan, John Carpenter, Kuro Diamond, Kuro Pearl, McDonald's, moist towelettes, Nature Gone Wild, PTSD, Satan, Scaler, Science Fiction, Slashers, squid ink, trauma, UK, Zombies. You can follow any responses to this entry through the RSS 2.0 feed. You can skip to the end and leave a response. Pinging is currently not allowed.